Warren Buffett once said “If you don’t find a way to make money while you sleep, you will work until you die.” I don’t know about you, but I plan to enjoy my retirement and not work until I die. So it’s time to figure out how to make money while I sleep. Now, I’m sure there are some research studies out there from time to time that are looking for paid research subjects to be monitored while they sleep. That’s not what we’re talking about here. (Though that sounds like a good gig – grab it if you can.) No, what we’re focusing on here are some forms of passive income – money coming in without too much added work on your part, or at least not much work after initial setup. That’s right, the good old stock market. 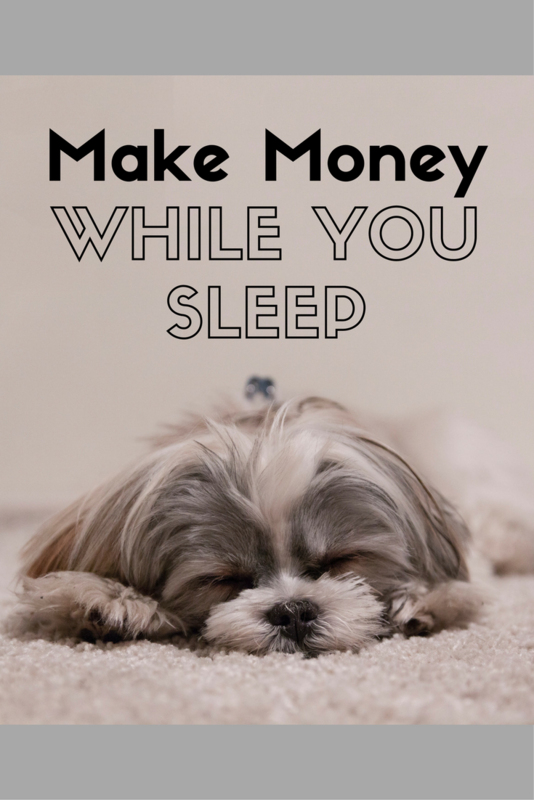 It’s the easiest way to earn money while you sleep. (Well, technically, you would have to invest in international stocks to earn money in the overnight hours, but let’s not get into semantics.) While the stock market has its ups and downs, in general, it’s been going up, and if you pick the right stocks, you can make good money investing. Just ask Warren Buffett. But how do you pick the right stocks? Research! Historical data about a company can tell you a lot. You can also choose to buy stock in companies you love and respect and who you think are doing good business. It doesn’t take a lot to get started investing. There are plenty of online brokers who offer low cost trades. I’m not going to recommend any in particular. Just take a look around and see what brokers offer the services that you need at the price you want. Do you have an extra bedroom in your house? Are you open to the idea of roommates? Consider renting out a room in your home. I live in the DC area, and with the summer coming, there are lots of interns coming to the city looking for inexpensive housing, and the idea of having a limited-time roommate is appealing. You can also look into Airbnb, depending on where you live. Maybe you don’t have a room to rent, but you have storage space in your home. Know someone who is willing to pay to have some of their stuff stored? Definitely easy money! How about parking? In some cities, people pay extra for parking spaces. Maybe you have parking you’re not using in your driveway. Think about the space you have and what you might be able to monetize. It’s next to no work and easy way to make money while you sleep. Do you like taking photographs? Consider putting your photos up for use on a stock photography website. People who want to use your photos will pay a licensing fee. Sure, some of that will go to the website itself, but some will end up in your pocket. This does require some work up front to get your photos loaded, but why let those photos languish on your hard drive when they could be out making you some money while you sleep! Maybe you’re an artist of another sort. Consider making digital downloads of your work available online. Perhaps you’ve made yourself a fabulous printable planner or home organizing binder. Those things are big sellers on sites like Etsy. Consider what you’ve already done and think about how you could use it to make money. Okay, so this one will require a bit of work before you start to earn money in your sleep. But if you have something to say, why not write it down and share it with the world? You obviously like to read blogs, as you’re reading this. So why not create one of your own? By placing ads on your site and creating content that people want to read, your articles can continue to make you money long after you’ve shut down your computer and gone to bed. 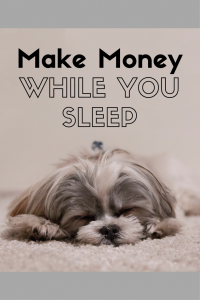 Making money while you sleep is an easy and appealing way to increase your bottom line. It’s just about figuring out the methods that will work best for you. How do you plan to make money while you sleep?